I had a tough day today. Don't know what it was but I was starting to have some horrible horrible feelings. My depression had me well and truly by the throat and I spent most of the day in bed. But then, I don't know what it was, I just felt compelled to pile a tonne of make up on, bang on some clothes and head out. And thank goodness I did. We took a walk to our local sushi restaurant. The fresh air and good food did me the world of good. Now; realistically it's not a miracle cure, but my mood was lifted and that is a win in my book. I took some pics too! It was a little bit windy on the walk there, but I grabbed these outfit pics. It's nothing special, but I thought I'd show off my new pumps from ASOS, they're so cute, but I found they came up a bit small so after the walk there and back my heels are killing. Sob. The jacket is from Dorothy Perkins but pretty much sold out the day I bought it. This is a pic of Michael taking a his very first selfie... I don't think he's quite got the hang of it!! Think I'm going to do this Bebe, I'm stuck indoors letting my anxiety win and worrying about things that haven't even happened yet. I need to get out too - I don't suffer from depression or anxiety but I have got stuck in an unhappy rut as since I moved and living with flatmates, I don't have a space of my own. Can't wait to move out witht he Hubby - so in the meantime, I may just so what you did and get out for a bit! Thank you for this post! Personally i was having kind of a "meh" day too, and not really looking forward to meeting with friends. But this post really reminded me how much of a difference putting on a great outfit and some make up does! While I'm at it, can I just say thank you for an amazing blog. 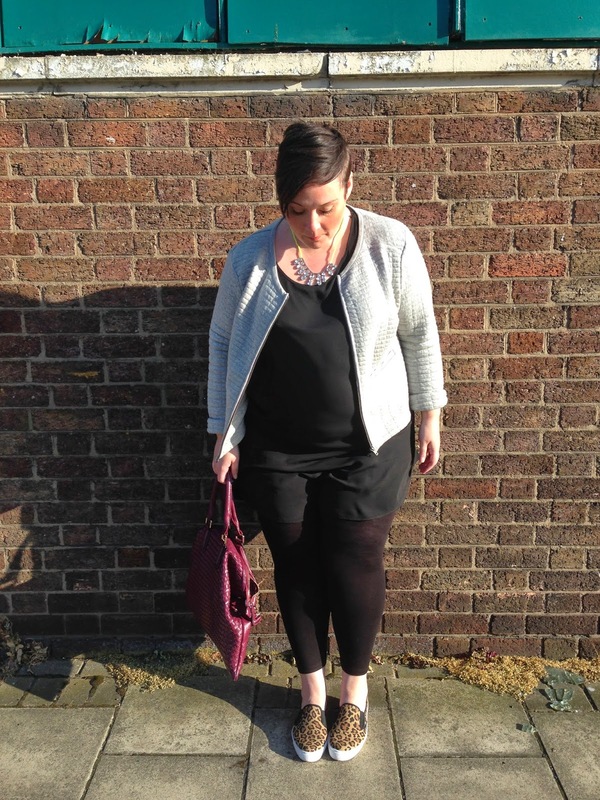 Before i discovered blogs like yours and other plus size bloggers', my confidence was at an all time low. Not any more! Your outfits are great and I love the pieces you write about body image and your experiences. Keep up the brilliant work!